Welcome to the office of Dr. Fletcher, Complete Family Dentistry. Dr. James Fletcher and staff are dedicated to enhancing the quality of life for all of those we are honored to serve. 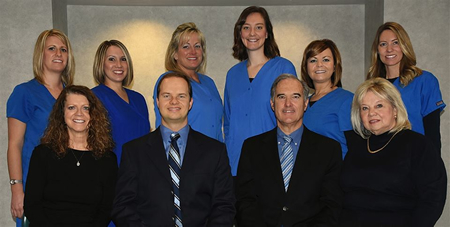 We continually strive to provide quality, comprehensive dental care. We are committed to our objectives of excellence, service, and compassion and to creating a caring, comfortable environment for patients and staff. These objectives can be obtained through consistently demonstrating courtesy, respect, enthusiasm, and a positive attitude. These principles are established for the patients we are honored to serve and all of us who serve. Do you know how many dental offices in Indiana are trained, certified, and have the personal experience to provide you the Wilckondontic system? This type of orthodontic treatment takes only 4 to 8 months in many cases. If you are a student who does not want to wear braces for 1 ½ to 3 years while you are in high school or an adult who's social or professional responsibilities preclude your wear of braces for a long duration, the Wilckondontic system is for you. See Dr. James or Dr. Matt Fletcher for a free consultation. You deserve more than straight teeth. You deserve good looking faces and healthy joints (TMJ's). 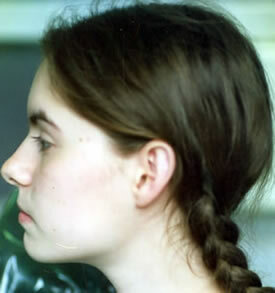 These types of forward guided facial improvements cannot be achieved by traditional orthodontic methods. These results can only be achieved by using facial growth guidance appliances. 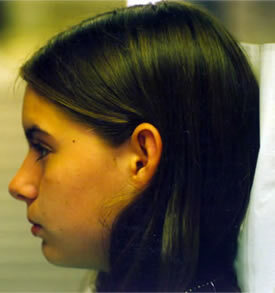 Facial growth guidance appliances promote horizontal guidance of the lower one third of the face. Movie stars and models exhibit this forward horizontal development of the lower third of the face. We can effectively give attractive facial growth guidance to most children if we begin their orthodontic treatment by ages 5-7 years. Traditional orthodontic treatment begins at about age 12. At this age, facial growth guidance is much more difficult to achieve. In addition, almost all traditional orthodontic methods result in a less attractive face, even though the teeth are straight. 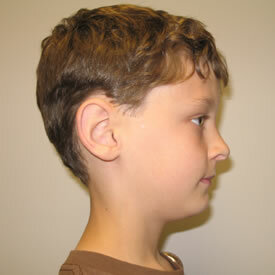 We want you and your children to have not only straight teeth, but also attractive faces and healthy jaw joints (TMJ's). See Dr. James or Dr. Matt Fletcher for a free consultation. Brackets and archwires are placed behind your teeth. These lingual brackets are the only 100% customized brackets on the orthodontic market today. No one will know that you are wearing braces unless you tell them. About 5-10% of orthodontic malocclusions can be easily treated by the Invisalign® system. It is an excellent method for treating cases of orthodontic relapse caused by failure to wear orthodontic retainers. Your teeth are straightened by a series of clear plastic aligner trays - no braces or archwires. If you want straight teeth, but do not like brackets or archwires, see Dr. James or Dr. Matt Fletcher for a consultation. The Aligner looks like a plastic orthodontic retainer which has attached springs and wires that move teeth. Brackets are not needed when the Aligner is used for straightening teeth. See Dr. James or Dr. Matt Fletcher to see if the Aligner can be used for your situation. 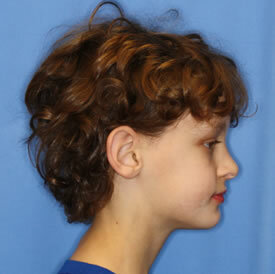 © Copyright 2008- Dental WebSmith, Inc. and Fletcher Dental and TMJ Clinic. All rights reserved worldwide. Disclaimer: The information provided within is intended to help you better understand dental conditions and procedures. It is not meant to serve as delivery of medical or dental care. If you have specific questions or concerns, contact your health care provider.